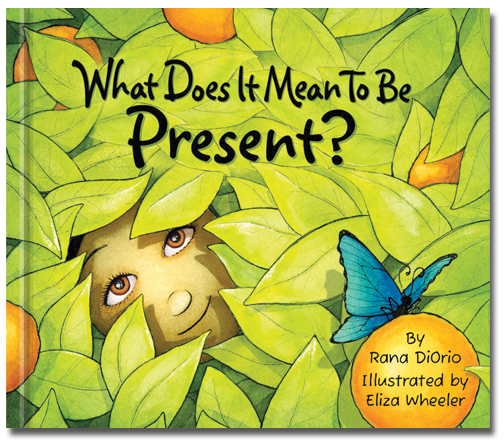 Books That Heal Kids: Book Review: What Does It Mean To Be Present? Book Review: What Does It Mean To Be Present? About This Book: This refreshing, vibrant picture book engages all of the senses to demonstrate the myriad of ways a child can seize the moment. The story sparks meaningful discussions about the important gift of appreciation, giving children and adults alike the opportunity to live more fully and richly. Why It's On My Bookshelf: This is the perfect book to start the New Year. It's the absolute cure for all of us (children and adults) who are overwhelmed with anxiety. The message of living in the moment gets lost with everything that is thrown at kids in school etc. Often times we ask kids to set goals when we come back from winter break as part of a New Year's activity. How about a simple goal like - Being Present. I'd love to explore this more with students. It's up to us to model this way of being. Lets get started! Take a peek at the awesomeness below from What Does It Mean To Be Present. Wish I would have bought this sooner. Thanks to a colleague/wonderful friend, she reminded me of this book She has been reading it with her 5th grade class - with positive results in her classroom community and in the hearts and minds of her dear students.